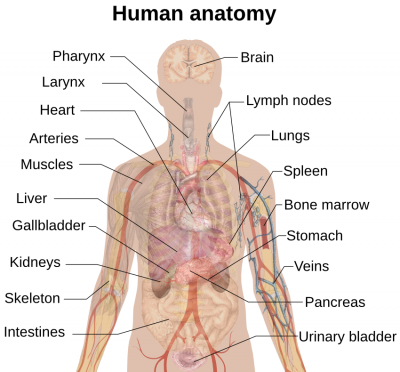 Human anatomy is an awesome subject to learn with kids. We did a lesson in the most fun way this week! 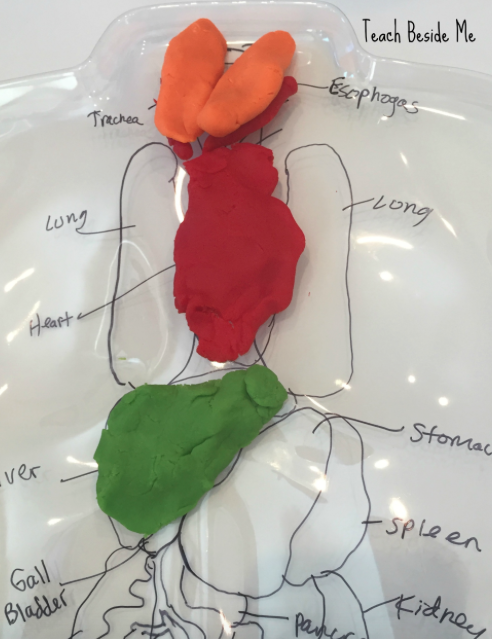 We did some play dough human anatomy. I bought a bathing suit for my daughter from Costco recently. The little plastic molds they use to put those bathing suits in are just too cool to throw away! 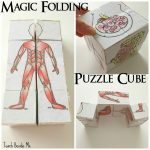 As I was looking at it, I thought an anatomy lesson would be just perfect for it! 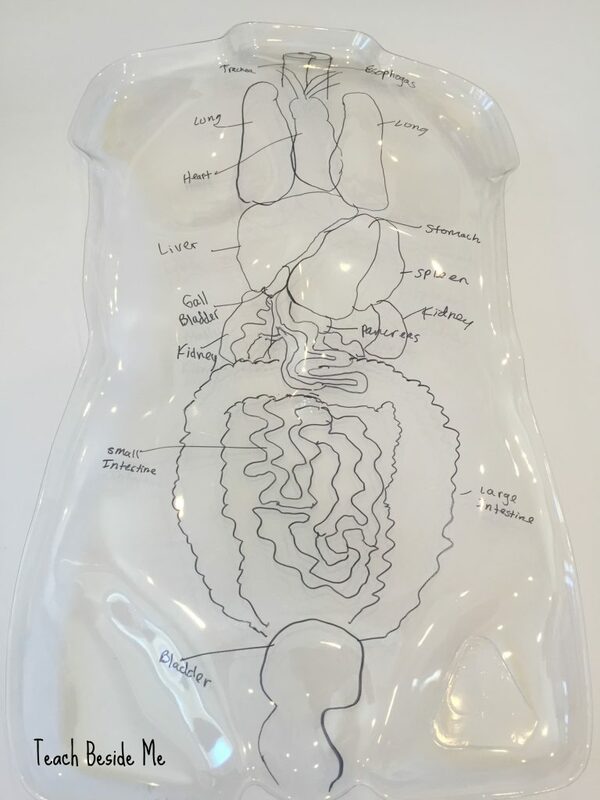 I printed out a model of the internal organs and sketched it (roughly) onto the body mold with a black sharpie. You can print out that image here. 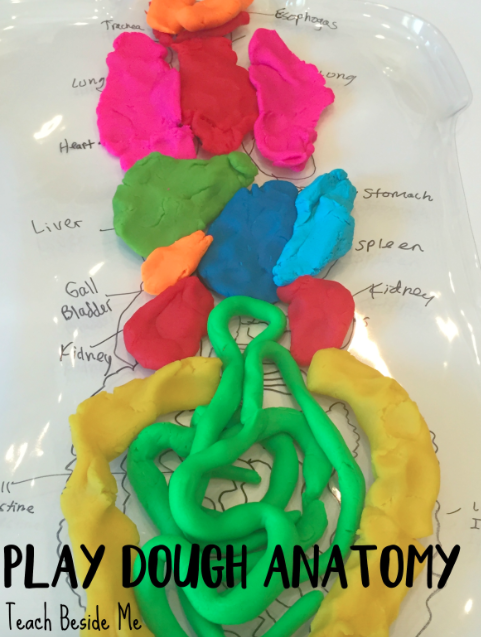 . .
Print the Play Dough Human Anatomy Diagram. 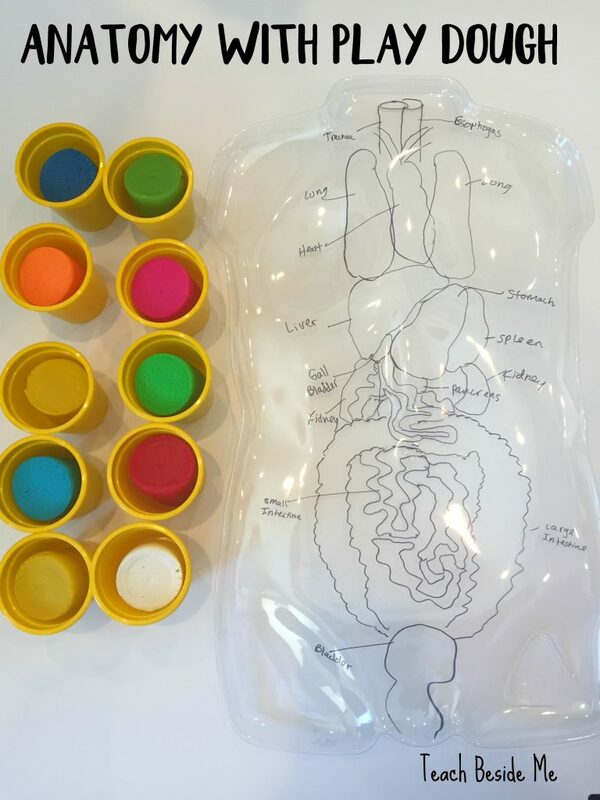 Once it is done, grab a bunch of different colors of play dough and mold the organs. 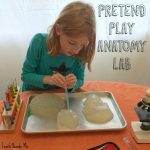 I let my kids do this part, so they could learn about the different organs as they went along. They seriously thought this was so cool! 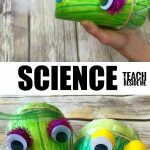 You can teach them about the different organs as they are building them and let them know the purpose of each one! 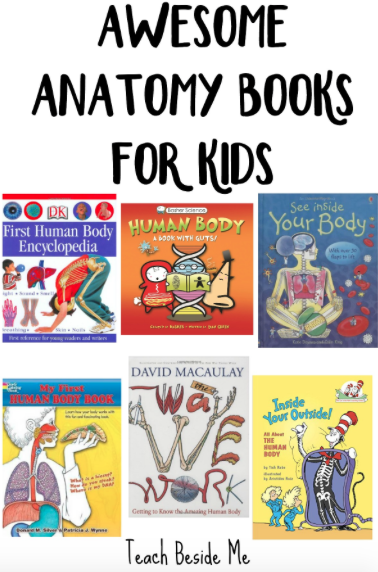 Need some book ideas to study anatomy? Here are a few we love! 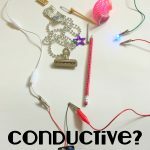 Want more STEAM Ideas? 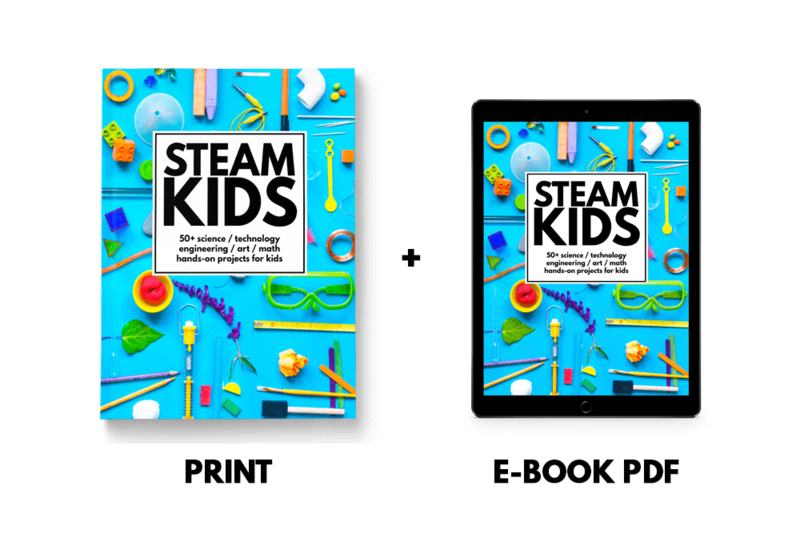 Check out our latest book, STEAM Kids! What a fun idea! I just got a human anatomy book for our bookshelf. Looking forward to trying this with the kids this school year. Pinned! This is so genius!! I love when kids love to learn, and you’re really good at making it engaging and fun! 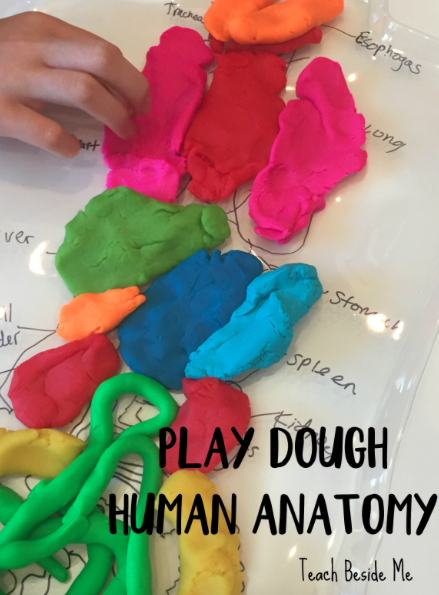 Play dough is definitely a hit with all kids, and this is something I’m going to keep in mind. Thanks for sharing!